We liked the driver and the cleaning lady that seemed to run the place and did their best to make guests feel hospitable. Everything! Wonderful host she speaks English trust me this is valuable for people who doesn’t speak Spanish! They greeted us at the airport and dropped us back even very friendly and lovely hospitality everything went as one would hope it would nothing to complain! 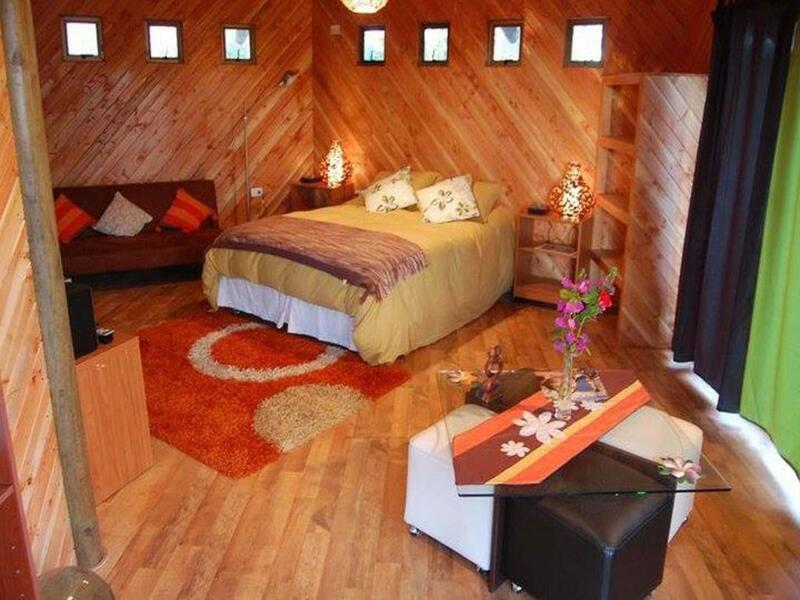 Well designed and comfortable cabañas. 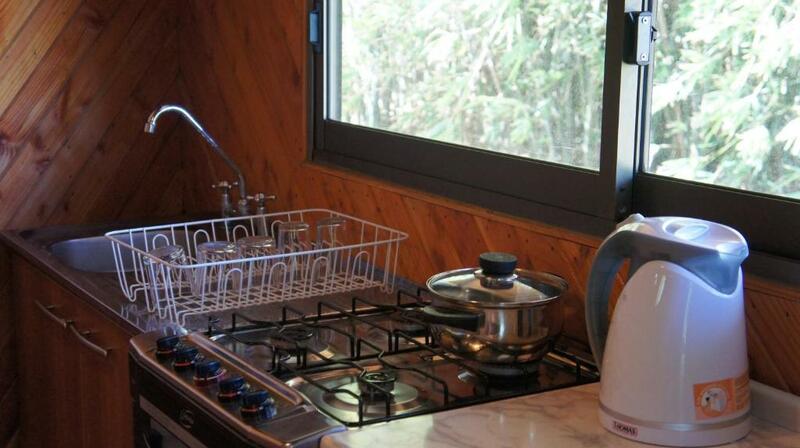 Nice kitchen facilities. Very close to the museum and to Tahai. Incredibly helpful and friendly staff. Good value. The host was very welcoming and kind, checking every day that she was doing all she could to make us feel good and comfortable. Also, they gave us fresh bread every morning. everything. the location, the helpfulness, the view, the cabanas. everything and everyone. The host Carolina was warm and welcoming and communication was great in the lead up to our trip. The fresh bread in the morning was a lovely touch too. The bed was comfortable and the gazebo-style self-contained unit was great if you wanted to cook your own meals. Very spacious. You could see the water in the distance and it's a 15-20 minute walk to watch the sunset. Free pick up and return to the airport (for good reason - see below how far this place is out of town). Car hire is available here at normal prices - the host will deliver in the morning. Perfect location, few minutes waling from Tahai (best spot to see the sunset) and 10-20 minutes walking from Hanga Roa. Javiera is the best host in town, always willing to help and to suggest you how to organize your vacation. You can book a car directly at the cabana. Lock in a great price for Cabañas Hare Miru – rated 9.1 by recent guests! One of our best sellers in Hanga Roa! 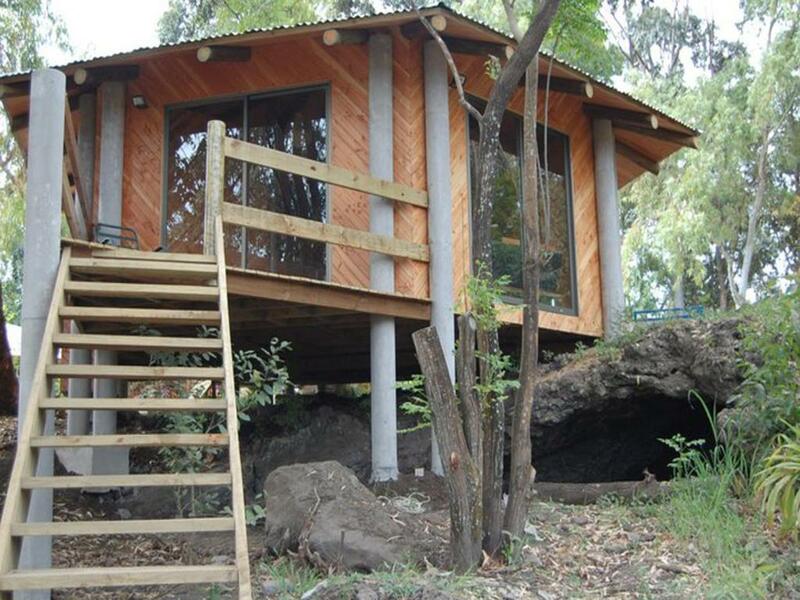 Set in the heart of the countryside, Cabañas Hare Miru consists of self-catering bungalows with a lush garden in Hanga Roa. Father Sebastian Englert Anthropological Museum is 650 feet away and Tahai Ceremonial Complex archaeological site lies just 1,300 feet away. A complimentary city tour is offered. 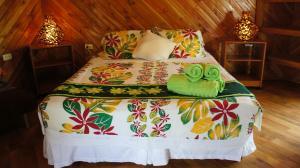 The guest rooms have splashes of bright color and a rustic style. Each bungalow comes with a private bathroom and kitchen. Some feature a balcony. At Cabañas Hare Miru you will be able to use the laundry service. There is also room service and an area for smoking. If you feel like visiting the surroundings, check out Hanga Roa Anthropological Museum 2,650 feet away. Hang Roa's beaches and the town center are located 0.9 mi away. Mataveri International Airport is 1.9 mi from the property and a shuttle is provided to and from the airport. 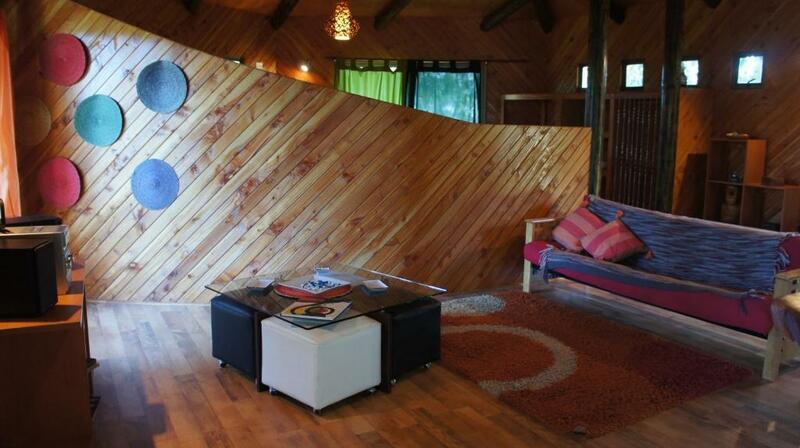 Free parking is possible at Cabañas Hare Miru. 뀐 Located in the top-rated area in Hanga Roa, this property has an excellent location score of 8.6! When would you like to stay at Cabañas Hare Miru? 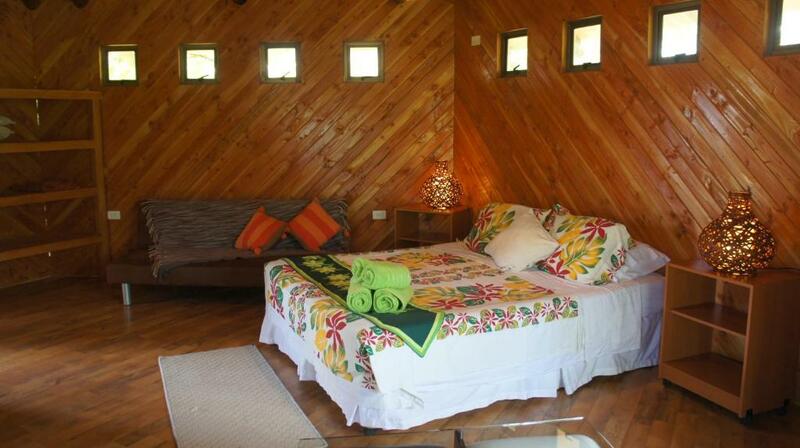 This bungalow is surrounded by greenery and has a fully equipped bedroom, a private bathroom with 24-hour hot water, an American dining room and a complete kitchen with kitchenware. There is also a mini-bar, an ample sofa bed and windows overlooking the garden. The balcony consists of an open-air terrace. 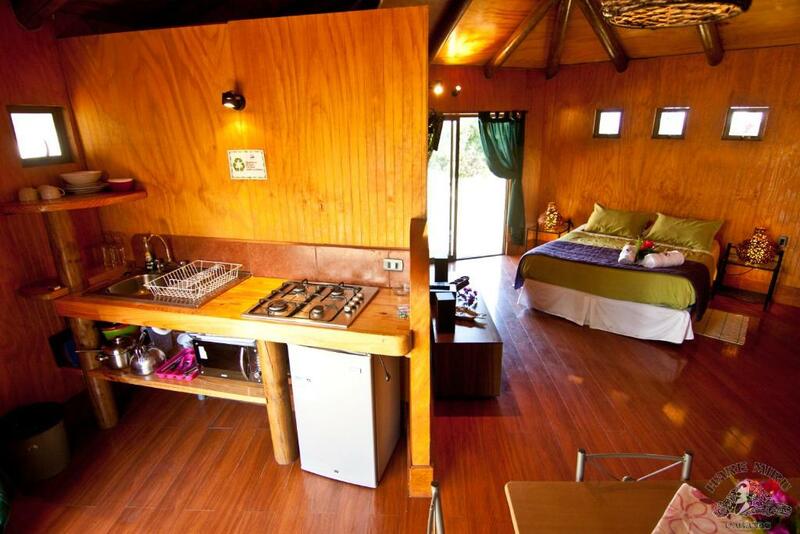 It accommodates couples or up to 3 guests. El sector aequeologico de Tahai es un area privilegiada y muy cerca del mar, a pasos del pueblo, ideal para ver las puestas de sol. House Rules Cabañas Hare Miru takes special requests – add in the next step! Cabañas Hare Miru accepts these cards and reserves the right to temporarily hold an amount prior to arrival. Please inform Cabañas Hare Miru of your expected arrival time in advance. You can use the Special Requests box when booking, or contact the property directly using the contact details in your confirmation. I really loved this gazebo but my main gripe with this accommodation is I feel it's location is advertised falsely and this caused much disappointment. If I'd realised how far out of town it was, I would not have booked this place. It's advertised as "Hang Roa's beaches and the town centre are situated 1.5 km away." This implies it's a 15 minute walk, when it is in fact 25 minutes to the EDGE of town. It's at least a 30 minute walk to the centre of town. I timed it several times and I walk fast. After a long day walking around, it's hard to do do this long walk back (up a hill). This place is not advisable if you don't have a car. Also, for the first afternoon/night there was a very loud 'pop up' night-club in the field opposite and it drove my father and I mad. We were lucky that it was only 1 out of our 4 nights. On further investigation it's a large tent and unfortunately the hotel owners have had problems with the locals and loud music. I was asked to 'call the police' the next time it happened. Although I feel sorry that this is not their fault, it's not something you want to be bothered with when you only have a few days on the island. Punctuality - I wasn't impressed with the fact that we hired a car for 2 x separate days (ie not 2 days in a row) and both days the owner turned up late. Because of this we got caught at the main cultural sites with the tour buses. The first day we were waiting for 30 minutes (booked time was 9am and car turned up at 9.30am) and the second day we were told 9.30am and the car arrived at 9.50am. The second day was 'cruise ship day' and we ended up at one of the most popular sites with four tour buses and it was too late to walk to the lake (due to rain they'd just closed the path). Very disappointing. I would advise pick up a hire car in town if you want to start your day early. Internet is painfully slow .... but then it's in the middle of the Pacific, what did we expect? Carolina , our host, is exceptionally warm, friendly and attentive. She brings fresh bread every morning and is always ready to smooth out any questions. There are many things we didn't like about the place: 1) location - too far away (more than 20 min. walking) from restaurant area. The guests need bicycles or a car to commute. 2) Front desk - the person in charge of front desk was mostly absent so it was difficult to ask for anything. 3) Facilities - very tired and not clean. The pictures on bookings.com didn't match the reality on the ground. There was kitchen in the cabana but not many travelers cook breakfast or other meals. It would have been good if Cabanas were run as B&B which would have attracted more people and made the stay more comfortable. Finally, 4) value of money - too expensive given 1-3. The owner forgot about our arrangements regarding car rental but everything was fixed, poor wi-fi, few hours without wi-fi and electricity in the evening. Too far from downtown. It takes 20 minutes by walk. It’s okay but I couldn’t find supermarket near. So it was hard. It will be good for family i think. Staff was kind. Carolina is a fantastic host - she is full of awesome suggestions and is helpful and friendly! The location is peaceful but still close to town (we had a car). We would definitely recommend this as a lovely place to stay. It was a bit dusty in the room. Wi-Fi was hardly connected and the room was dark enough to turn on the lights during the day. The hot showers were a little uncomfortable. It was in a secluded location just a short distance from downtown, but the sound of motorbikes and cars climbing the hill was loud. Friendly staff, spacious room, lots of kitchenware. It was a good place to feel Easter Island. I could see the sunset from the Cabanas and it was good to approach the western coast of Hangaroa. The small balcony was a good place to relax. Bathroom are a bit smelly, probably because of the island characteristics though. Everything. Location is only a 5 minute walk to some Maoi. Town is only 10minutes walk and our host even offered to drive us when it was raining. Great place to stay.